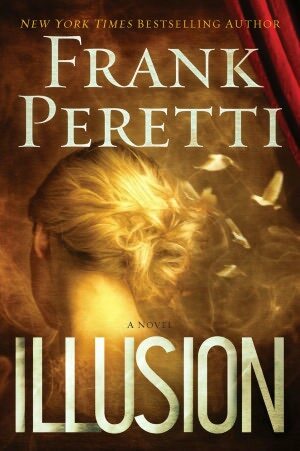 With a sleight of his talented hand, Frank Peretti has spun a magical tale of suspense, mystery and love. In his latest release, Illusion, Peretti combines a love story that surpasses time with a disappearing act unlike no other. There is something for everyone in this tale. Mandy Whitaker is pronounced dead following a tragic car accident while her husband Dane is left to grieve the dual loss of wife and magic act partner. As he struggles to live without her, Mandy awakens as the nineteen-year-old she was in 1970, but in the year 2010. Attired in a hospital gown and greatly confused, Mandy is soon placed in a mental ward. There she discovers a new skill she’s been given—time travel. This reviewer loved Illusion for many reasons. Mandy’s memories of the 70’s reminded me of a less frantic and simpler time. The fight of good versus evil and the longing for a love that surpasses time are themes with universal appeal. Dane and Mandy’s battle to play the cards they’d been given became my battle too. You can’t help but root for this couple to beat the odds. This book is indeed magic. I suggest you read it—before all the copies disappear.